Andrew Dodson's article is "Causing a (Comments) Commotion." Bay City Times reporter Andrew Dodson suggests in his piece on Thursday that the cycle of someone asking, rhetorically, why the community of Bay City, Mich., hates Madonna runs like clockwork about once every two years. In response to Alina Simone’s gargantuan March 1 item, a 5,000-word-plus opus for website lithub.com, Dodson revisits the roots of the controversy. Madonna, who was born in Bay City and would later spend summers there, grew up primarily in Detroit. It’s a little personal for Newsham. She lived two blocks down the street from Madonna’s grandma Elsie Mae Fortin, who died in March 2011. Newsham said it’s time for Bay City to highlight its Madonna connection, but she’s not interested in getting the ball rolling. “I have too many things on my plate right now, but if there’s a group out there who wants to do this, I would do what I can to help out,” she said. Sounds like a great opportunity for someone to finally step into the Bay City void. 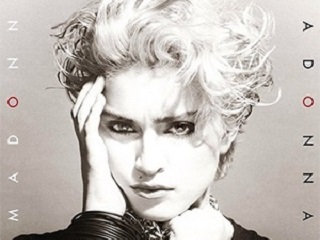 Madonna fan clubs … go!